Traders, investors and ABS market participants at the upcoming ASF 2012 convention will be able to test drive the fastest system available for ABS data integration between multiple internal and external deal and loan-level data providers. System users benefit from full transparency on their ABS, CDO, CLO, CMBS and RMBS investments, accessing a single, very efficient data repository for information from many sources. Thetica Systems is proud to participate in ASF 2012, the largest capital markets conference in the world with over 4500 registrants, where the most relevant topics and challenges relating to the securitization industry will be addressed. ReREMIC support: automatic selection of scenarios, ability to run child deal at both deal and group level, system can run CLOs (including setting Reinvestment Profile rules) and CMBS at asset level. CLO support: ability to enter assumptions for each asset class and accurate handling of re-investment criteria. CMBS support: easy search for assets by criteria and full integration between vector functions and bond analytics. Portfolio support: yields for multiple scenarios and stress analysis and enhanced price-yield grids. Screener functionality: access to the entire US RMBS universe to screen by analytical values, aggregate metrics, and other characteristics. Those interested in scheduling a live demonstration online or on-site should contact 727-724-4182 or visit Thetica Systems for more information. Thetica – from the Greek letter “theta” which means Thought, Life Force and Reason and the word “etica” which means Ethics. Thought, reason and ethics are essential elements of any successful business and commitment to this concept is embedded in the company’s name. Three companies now operate under the Thetica brand. About Thetica Systems: As Wall Street securitization pioneers, Thetica Systems understands the needs of ABS market participants. Its clients include investment banks, hedge funds, capital management, brokers, dealers, and others that invest in or monitor structured finance securities, with users from traders and trading desks, research and product controllers to risk managers, regulatory reporting and IT. Thetica Systems serves a wide variety of financial firms involved in the securitization markets including investment banks, hedge funds, and broker/dealers. About Thetica Solutions: With state-of-the-art proprietary software, Thetica ABS Analytics, and over 25 years of experience on Wall Street, Thetica Solutions offers expertise in regulatory capital and litigation support. About Thetica: A team of highly trained and experienced software consultants focused on rapidly delivering customized data solutions to trading professionals in relation to RMBS, ABS (cash and synthetics) and other financial markets. Thetica expands and enriches its clients business opportunities with a wide variety of customized solutions. There is a alter in the U.S. professional mortgage loan-backed securities (CMBS) sector. The U.S. CMBS Delinquency Report, launched by the New York-based research and consulting firm Trepp, indicates that the distressed business genuine estate business is in fairly greater well being.”The CMBS market place is on its firmest footing in 4 a long time,” explained Manus Clancy, senior taking care of director of Trepp. In truth, the delinquency charge for CMBS loans fell fourteen foundation factors to nine.99% in September. This delivers the price below 10% for the 1st time since April. Even so, undesirable personal debt and matured financial loans nonetheless linger, and need to have to be cleared out of the method or be reworked. Trepp studies that there ended up all around $ 3.three billion of freshly delinquent loans in September. The addition of these financial loans to the delinquent loan group offered upward pressure on the charge. With the very same sum of freshly delinquent financial loans in August, the effect on the rate was similar. Trepp stories that the hunger for distressed actual estate remains large amid traders, even though borrowing fees continue being incredibly lower. This need to allow particular servicers to function at a substantial speed for the foreseeable long term. The CMBS new issuance market place has also observed a resurgence above the last three months, leading the market to increase its anticipations for securitization volume above the subsequent six months. As new discounts are likely to carry out very well, they need to help to dilute the negative legacy loans that still exist. Plainly, the chance to get distressed industrial actual estate at lower charges is listed here, and the moment for entry into the marketplace is now, as competitiveness for obtainable assets will only grow to be steeper in the around potential. To get the very best of the distressed business market, however, analysts say that customers require to get to out straight to sellers and to negotiate individual-to-man or woman, or use a specialist like Genesis Funds. Even at this stage in the cycle, proprietors are locating it tough to settle for the reduce valuations that the put up-crisis period of time has introduced in. Skilled negotiators can get past this psychological obstacle. Genesis Funds provides a unique discussion board for distressed and off market property. Genesis sources off market place assets from private clients and from banks for chance consumers. Assets might or may not be distressed, but they are constantly off market place. 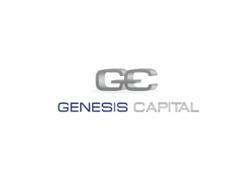 Genesis operates principal to principal only (no brokers) and retains costs minimal. Clopton Capital is a nationwide industrial true estate finance firm that resources loans by way of insurance policy companies, cmbs securitizations, and banks. The company has been in procedure since 2007 and has developed its lending pipelines considerably year in excess of yr. The company provides equally recourse and non-recourse loan possibilities with amounts ranging from $ 1 million up to $ 50 million with tailor manufactured phrase and maturity alternatives dependent on the choice and/or requirement of the borrower. Presently, the company is aggressively looking for refinance and acquisition options for which it can deploy cash for a various selection of professional home types and in all markets during the nation. Clopton Cash ranks as one of the most energetic and dynamic business real estate finance companies delivering lending alternatives nationwide for income making properties. Offering business mortgages, development loans, bridge financial loans, and CMBS loans to borrowers for a assorted selection of residence varieties and ownership structures, Clopton Funds has the ability to meet nearly any lending needs of property house owners and administrators.